Razz makes his conformation debut with a BANG!! 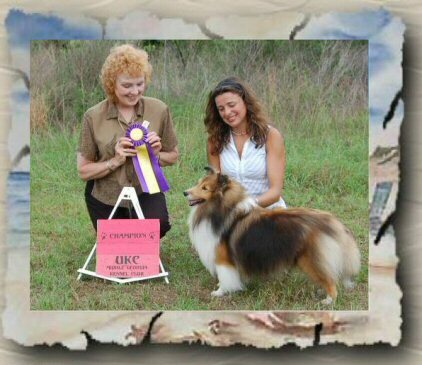 Razz won Reserve Winners Dog at his first two AKC point shows in Asheville, NC. 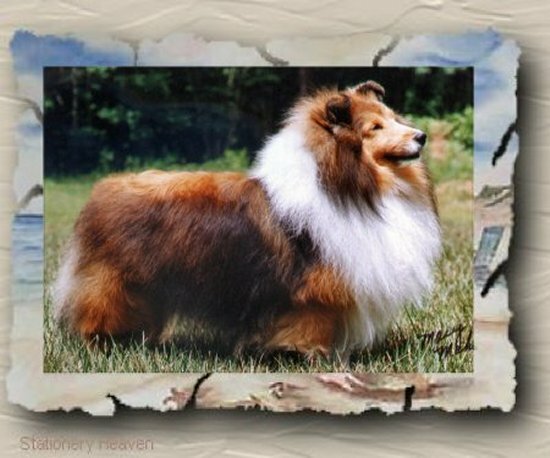 Razz continued his winning ways by going Best of Breed for 2 pts under judge Dan Fleitas at the Conyer's, GA show on 8/15/04. 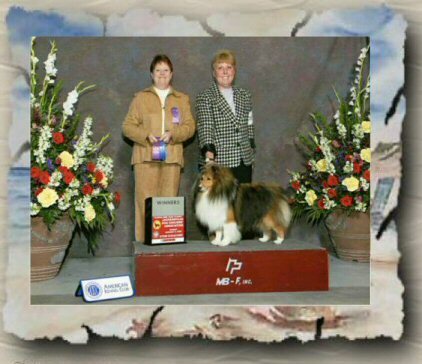 Razz finished his UKC Championship at the AHTA show in Charlotte, NC on 9/11/04. Razz takes back to back Reserve Best in Show at the Middle Georgia Kennel Club UKC Show! Razz's show career has really soared. To date he has 14 points and both majors. Thank you Kathy Dziegiel for your loving care and wonderful handling of my special boy! 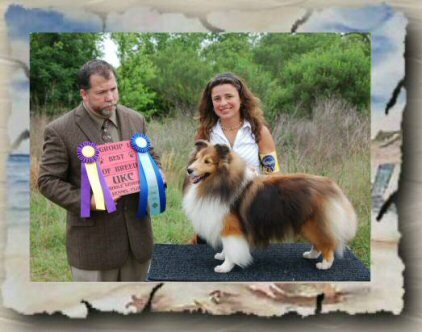 Razz finished his AKC championship at the Asheville, NC show. Thank you judge Lenora M Riddle! Razz is champion # 11 for his sire Ch Trevanne Cache' ROM. Razz finished his UKC Grand Championship at the Middle GA Kennel Club In Perry, GA.
Razz continues his winning ways in both AKC and UKC venues! At the Perry, GA UKC show 5/5-5/7/06 Razz made a great showing with 2 Ch. of Ch, 1 BOB and 1 Group 1 wins! 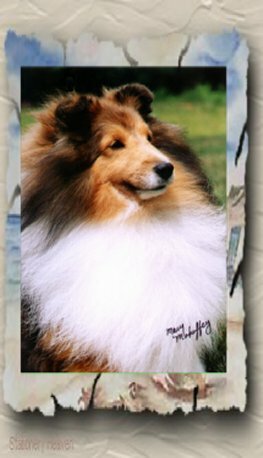 Razz now has 4 of the required 5 points toward his Grand Championship. CGC title (Canine Good Citizen). Registered therapy dog with Therapy Dog International (TDI). He recently acquired the TDIA (Therapy Dogs International Active Volunteer) from TDI. This is achieved when a dog has achieved 50 documented visits.